First off, I’m pretty sure it’s “eh” and second off just because this is about Canada doesn’t mean you have to put in their stereotypical speech tick. I wasn’t trying to put a Canadian speech tick. The A was a mistake I missed when proofreading. 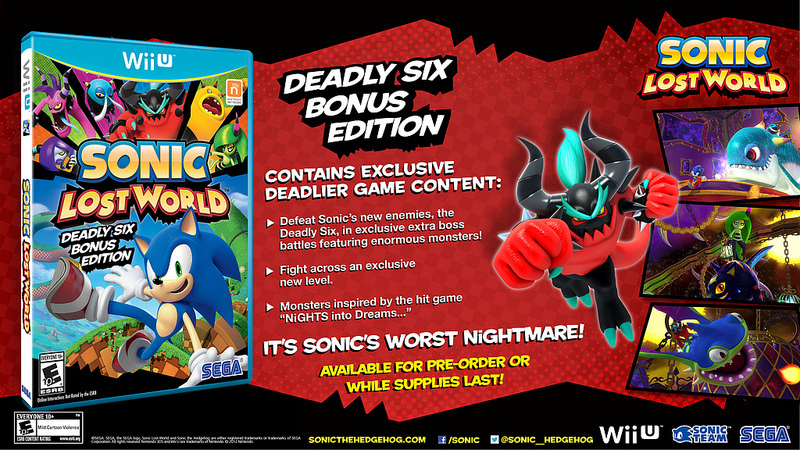 After all this, Canada ends up getting the worst end of Sonic Lost World possible. Wow. I had a different issue in Australia. When I first tried to input the code, it said it wasn’t being “distributed at this time” this was the day of release. I waited a day later and put in the code and it registered. I don’t know if it’s the same, because the error message was different to this one. 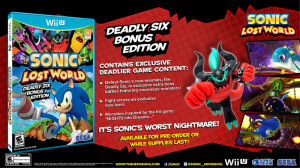 Well I am going to get Sonic Lost World on November 2 for 2013. Because My parents said no video games on week days only on weekend expect on Friday you could play. Yeah my codes didnt work either! I called it into nintendo, and they are currently “looking into it for me”. I hope this gets fixed asap! I feel kind of ripped off.. The games not quite a “bonus edition” with out the bonus dlc working….. But on a positive note the game is AWESOME! I’m in the UK and didn’t do well in Geography, ok? :p Changed it to just North America now. Guy, Quit being babies and stop criticizing Shadzter’s article. I bet you guys are scholarly English majors if your criticizing to much. Greetings from Canada. I actually had this problem yesterday, but I wasn’t overly concerned. Thanks for the news, I’ll make sure to submit a ticket to Sega asap. How do I submit a customer support ticket, by the way? I find it rather humorous people get upset over it not working and are offended by it. Yes, it should work. However, Sega did not do this on purpose, and they are working on fixing the issue. Mistakes do happen, and while this is a rather large one, you will get your DLC eventually, and perhaps even get compensation for it. Play the game without the DLC for now until it is fixed, and submit a ticket. The real thing is. How do we unlock the NiGHTMARE level? I JUST tried it again, and NOW the code worked! also the level is unlocked immediately so you dont have to do anything it seems.